Chandigarh: Indian High Commissioner to Islamabad Ajay Bisaria on Wednesday visited Gurdawara Kartarpur Sahib in Pakistan’s Narowal diatrict, bordering Gurdaspur in Punjab. The Indian High Commissioner Ajay Bisaria's visit to Kartarpur Sahib has raised hopes that corridor to gurdwara from Dera Baba nank from Indian side may be a reality in the coming few months as Guru nank Dev's 550 birth anniversary falls in November 2018. This comes just days after Punjab minister Navjot Sidhu visited Pakistan to attend the oath ceremony of Prime Minister Imran Khan. Sidhu had later mentioned that Pakistan army chief Qamar Javed Bajwa suggested that they were considering opening up the Kartarpur corridor to celebrate the 550th birth anniversary of Guru Nanak Dev nhe 4-km corridor, if opened, would connect Kartarpur Sahib, where Guru Nanak Dev spent 18 years, to Dera Baba Nanak Dev in Gurdaspur on the Indian side. Acoording to avialable reports from Pakistan media Bisaria had a olok at Dera Baba Nanak the nearest Indian city from the rooftop of the gurdawara and also intereated ith the care-takers of the gurdwara to understand the possibilities and limits of opening this new entrance to Pakistan for the Indian pilgrimage specialy the Sikhs. 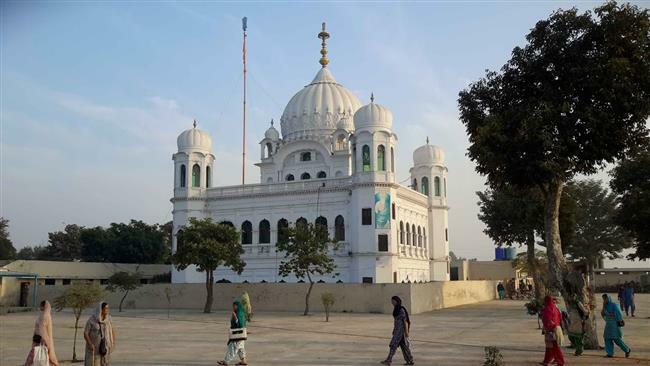 Bisaria is reported have told the care-takers that "we hope to make opening of the entrance to Gurdawara kartarpur Sahib from Indian side a reality by coordinating with the cencerned pakistan authorities. Now the Sikh pilgrimage visit Kartarpur Sahib on five designated celeberations dates every year but via Attari-Wagha- Lahore. Special buses are arranged from nanakan Sahib to take the sikh pilgrimage from Nanakan Sahib to Kartarpur Sahib. However, the proposal to make it a peace park or provide direct corridor from Dera Baba Nanak would be a unique and different thing providing new meaning to Indo-Pak releations. Guru Nanak Dev spend about 17 years of his life here after compleleting the four Udasis and intrescting with various muths,Naths, Yogis, Nirmalas and even visited Maqa Madiana. However modalities of this project are yet to thought about once indian government clears the idea of opening the corridor to KartarPur Sahib.